The Golden Wilderness™ is a game of early California, from the Spanish explorers to the Gold Rush. 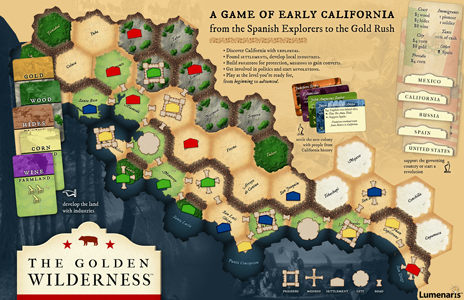 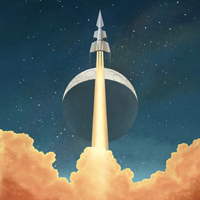 Players take part in the colonization of California, exploring and developing the land. A California with a major bay. 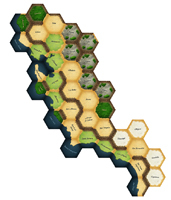 A California divided by deserts and mountains. 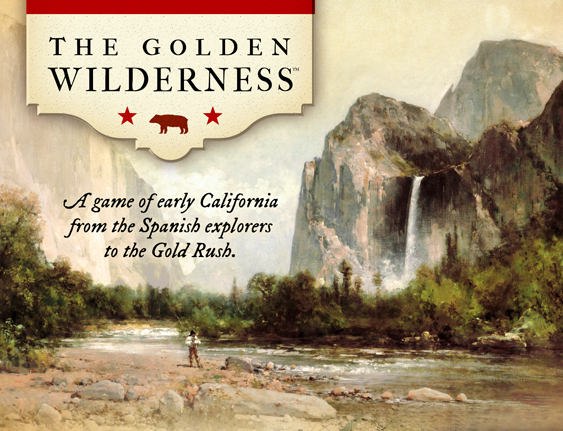 Colonize California with pioneers, soldiers, and priests, and interact with various California Indians. 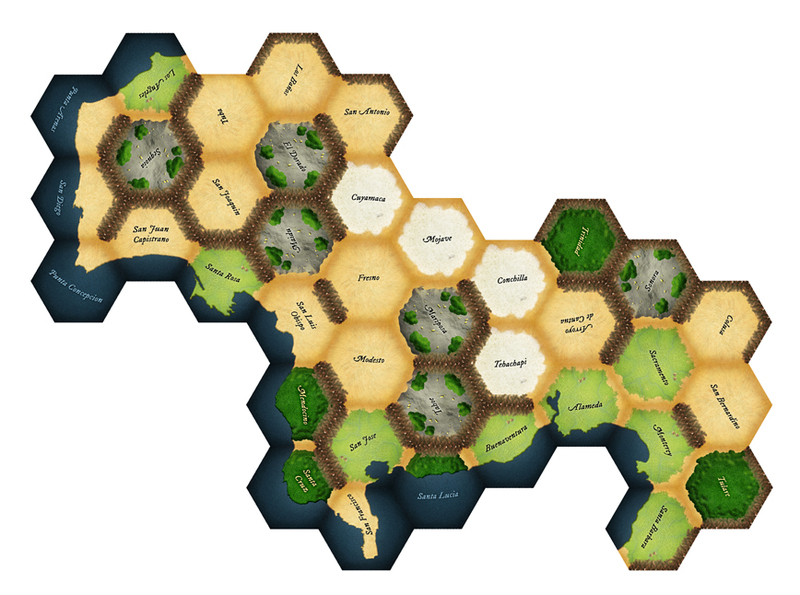 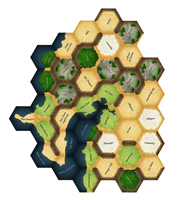 The board is made of interlocking tiles, so you can lay it out in the actual shape of California, or you can explore the land during play. All of the people featured in the game are real people from California history. The rules are divided into levels, so you can play a simple game right from the start, moving up to a more complex game whenever you're ready.